Flip 10 coins. 1,000 damage each times you get heads.Applies to benched pokemon too. Flip 2 coins. 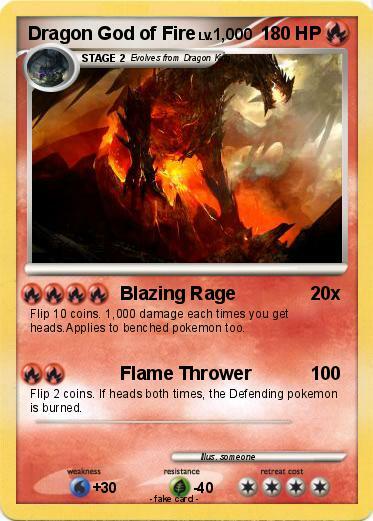 If heads both times, the Defending pokemon is burned.